The Pathology Accessioner performs the registration and accessioning of all pathology specimens. Consistently exhibits Service Standard behaviors set forth in the attached Service Performance Standards (see attached listing). Register specimens into the pathology computer system within prescribed time frames. Accession specimens into the pathology computer system within prescribed time frames. 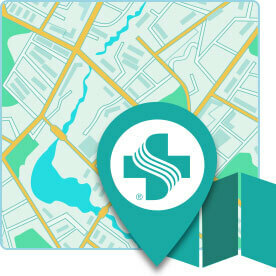 Pick up and deliver specimens, reports, other documentation to and from the CPMC shuttle. Utilization of Pathology information system(s) and registration informationsystem(s). Communicate with Pathologists regarding cases. Communicate with Pathology Assistants regarding cases. Provide instructions regarding pathology specimen handling to clinicians and clinician office staff. Written/computer communication inputting data in pathology information system. Follow established policies, procedures, and practices including but not limited to quality assurance, safety, environmental and infection control standards as applicable. Minimum number of accessioning/registration errors. Meet defined turn-around-times for accessioning and registration. Follow all CPMC compliance and service standards. Comply with health and safety policies, procedures, practices and program elements, as provided in CPMC policy and associated procedures and health and safety manual and promote others’ adherence to same policies.